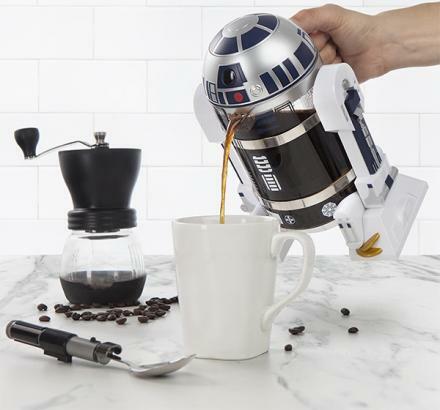 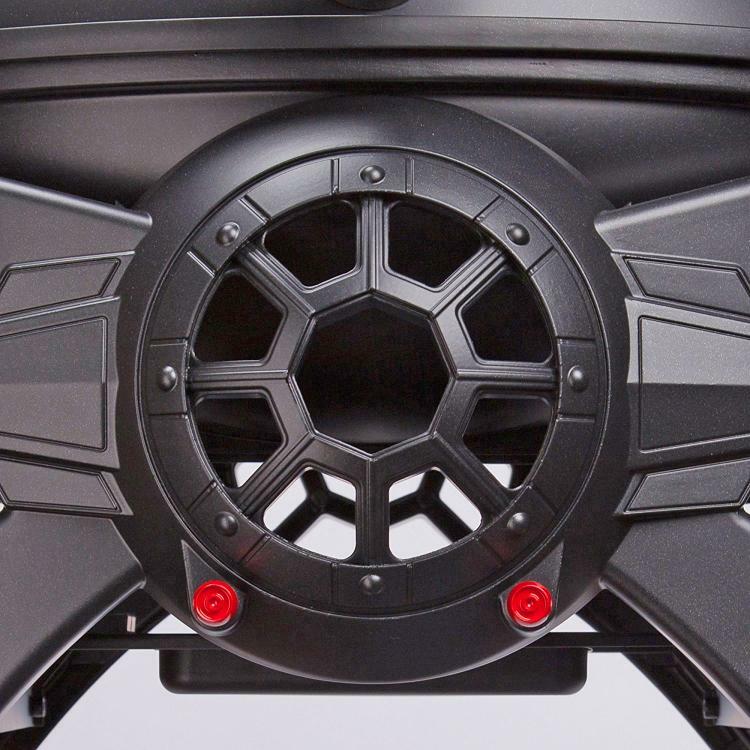 Sure, we've featured a few Star Wars themed toasters in the past that would actually toast the Star Wars logo or the Imperial logo right onto your bread, but this new Star Wars grill takes it to a whole new level. 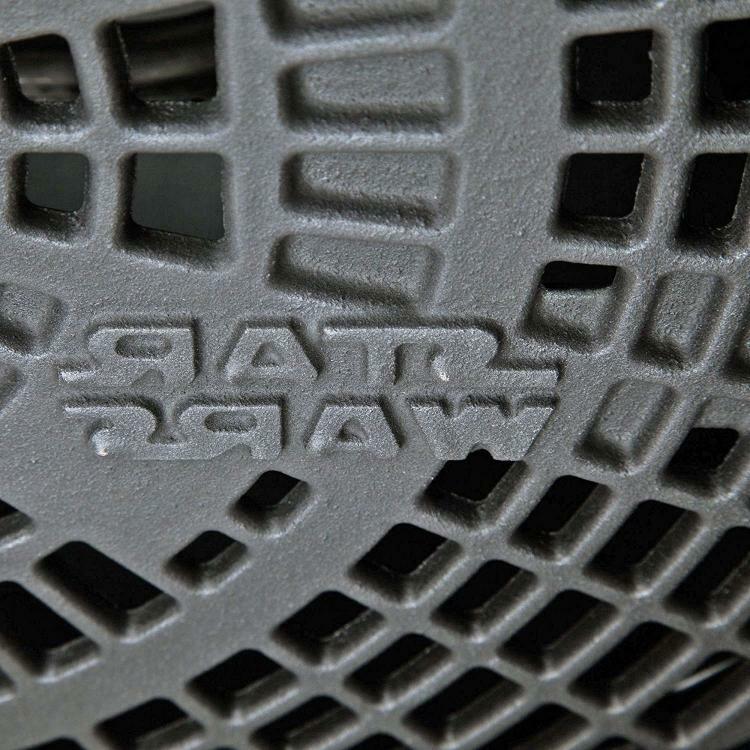 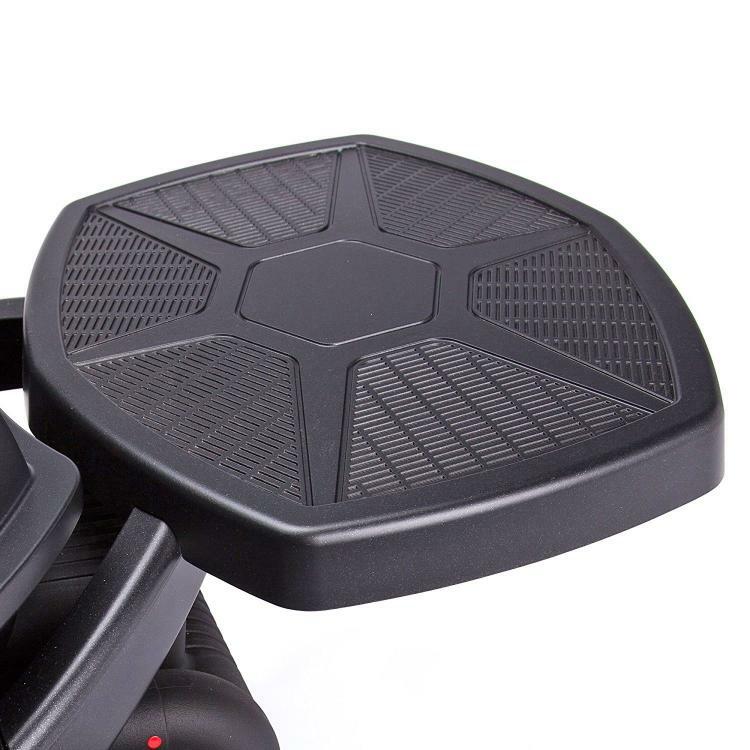 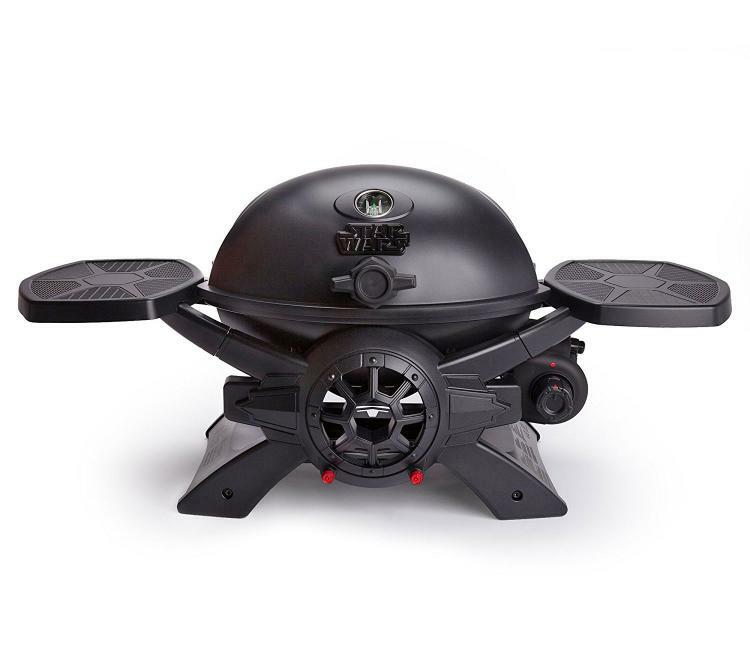 Made to look a TIE fighter from Star Wars, the gas BBQ grill contains various Star Wars logos throughout the grate which will imprint the Star Wars logo on your burgers, steaks, or whatever you happen to be cooking. 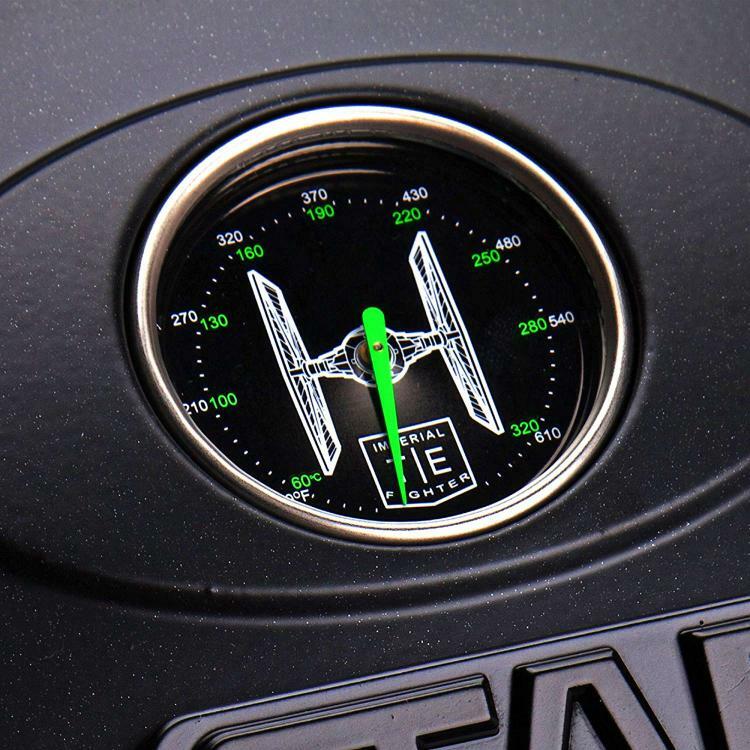 The TIE fighter BBQ features a sleek lines and impressive features that really make you feel like you're cooking for the Empire, including fold-up side tables that look like the wings of the fighter, an image of a TIE fighter on the temperature gauge, plus the front of the grill features the same front window of a TIE fighter. 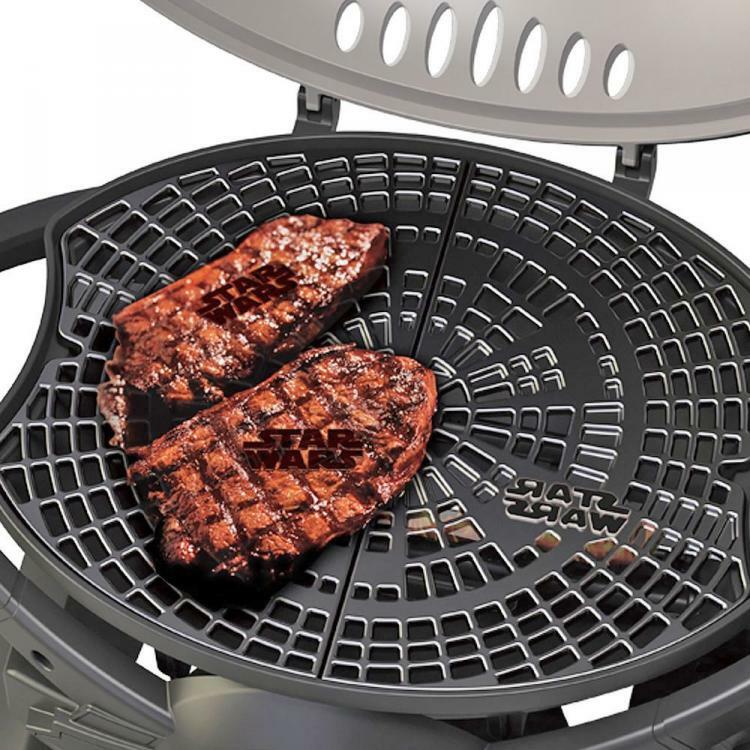 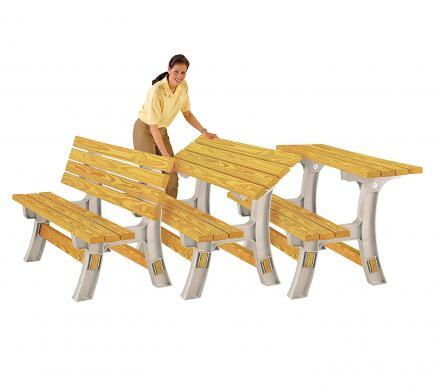 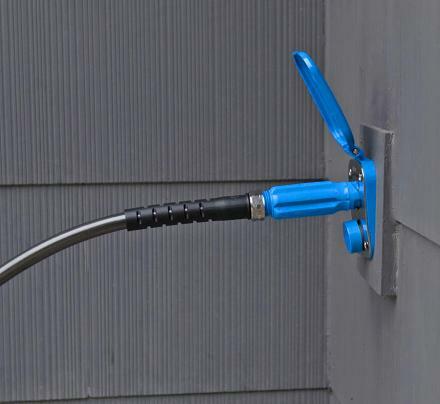 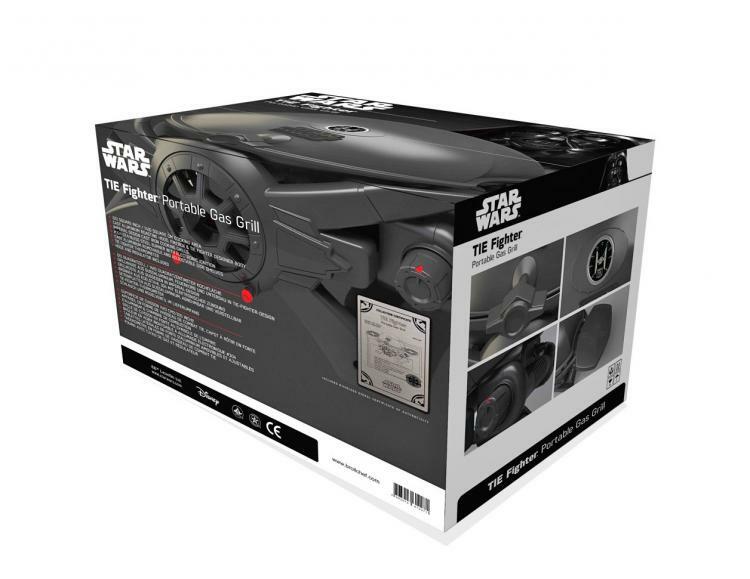 The Star Wars BBQ is officially licensed from Star Wars, can be used with any 1 lb standard disposable propane tank, and is made from cast aluminum, which makes it light enough to easily carry it around to a friends house, but also ensures that all your food gets cooked proportionally and properly. 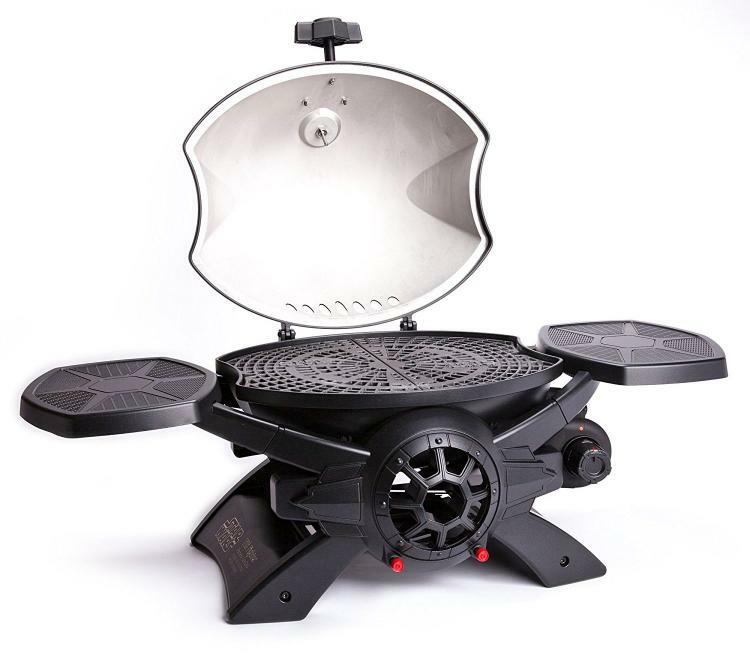 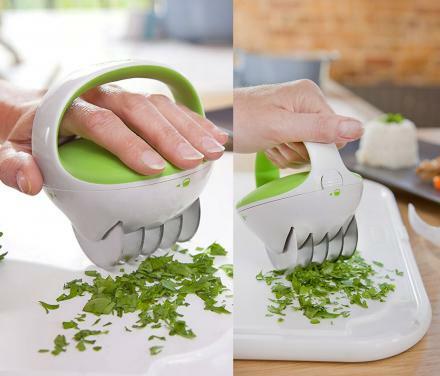 The TIE fighter grill gives 220 square inches of BBQing space, and the two flip-up shelves on the side offer space to place cooking utensils, plates, food, or other cooking supplies. 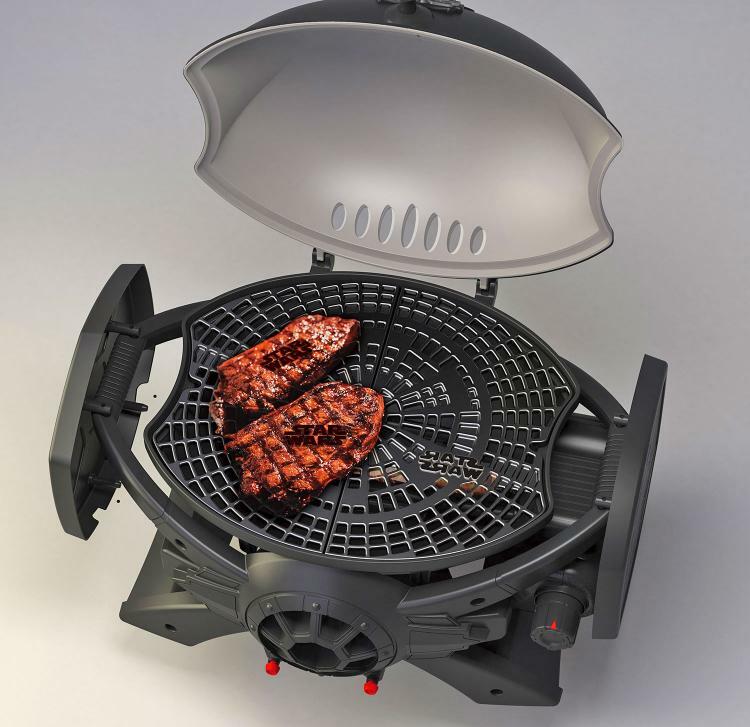 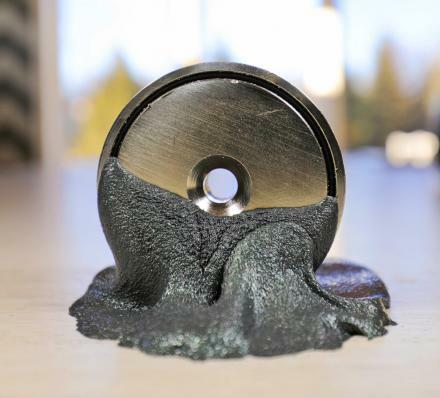 The grills stainless steel burner is capable of up to 10,000 BTUs of heat, and an electrical pulse ignition offers a super easy way to start up the grill so you'll never miss out on what's happening at the party. 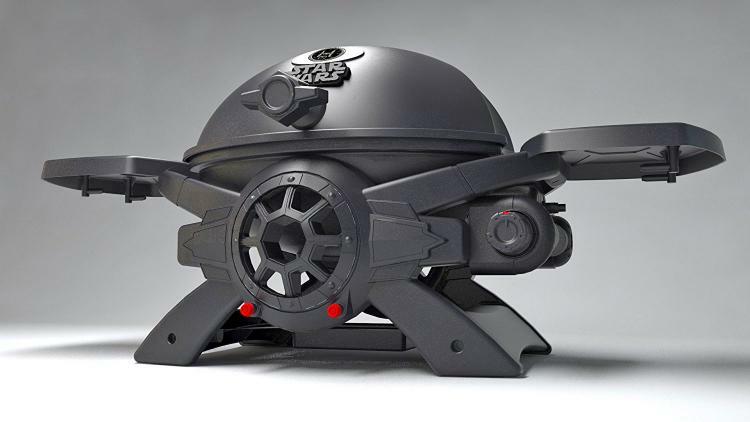 The Star Wars TIE fighter BBQ grill weighs 48.5 lbs, and measures 26 inches x 21 inches x 20.5 inches.